Home renovations are ways to display self-expression. Whether monumental or less pronounced, remodeling projects are exciting. As it is not always possible to take on major makeovers for one reason or another, we may instead decide to make small changes in our homes to add a little something innovative and pleasantly striking. The perfect piece of furniture to give this type of attention to is a coffee table. Coffee tables are often located at the center point of entertaining guests in the home or simply admired and utilized when seated nearby on a sofa or chair. Would you like to give your existing coffee table an invigorating facelift? If so, you have great options from which to choose. 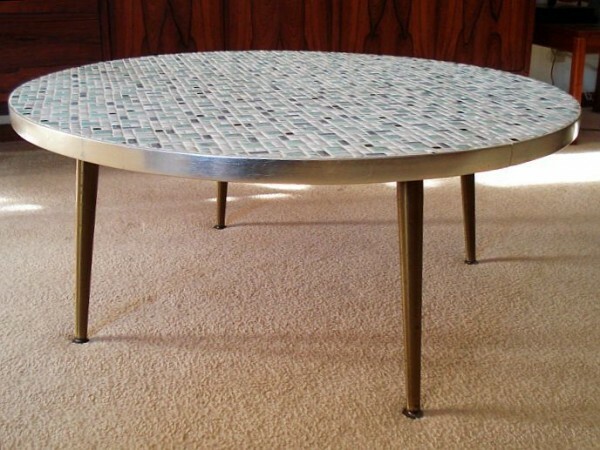 A tabletop constructed out of tiles is an alluring and interesting idea. If this option is appealing to you, it is necessary to keep in mind the dimensions of the table itself and the furnishings and décor if you wish to pull it all together. It is also crucial that you take into consideration how much wear and tear the table gets. If the table is used often when entertaining, perhaps tiles that are scratch-resistant are ideal. If the coffee table is more of a showpiece, you may be concerned with solely appearance rather than its durability to withstand frequent usage. When you browse products at various showrooms and stores, it is beneficial to bring a photo of the table as well as its measurements. Reputable establishments usually have very experienced and capable associates that can guide you in your endeavor. Browse through a large variety of tiles in order to get a good sense of what you are drawn to and also what you are not interested in; this will narrow down your selection process. You may also inquire if there are additional choices that may be special-ordered. Tiles come in a spectrum of shapes, sizes, and all different shades. Mosaic tile is extremely detailed and eye-catching, making it a desirable option to consider. Perhaps you wish to design a tabletop that is more toned-down and traditional; there are plenty of tiles to make your selection from. Top-shelf manufacturers include but are not limited to Azuvi Tile and Ceramica Vallelunga. Both of these brands are of the highest quality and very popular with clients. The special advantage about using tile is that you can truly create a custom coffee table that is yours and yours alone. Once the tile is chosen to your complete satisfaction, you need to arrange for the installation on your table. Ask about the installer’s experience, the company’s product and installation guarantee, and the time frame to complete the job. Importantly, be certain to find out all costs ahead of time to make sure the project fits into your budget. Do not hesitate to ask questions or mention any concerns you may have. Constructing your custom coffee table is well within reach of your fingertips. While entertaining, your coffee table is sure to get the admiration it deserves.